Christmas charity singing at Dunmail Park Shopping Centre, Workington in aid of the choir’s 2012 nominated charirties, Friday 21st December 2012. Saturday evening saw the culmination of many weeks intensive rehearsals as the Whitehaven Male Voice Choir presented their annual Christmas Concert at St James Church, Whitehaven. Since the summer holidays the boys have been working hard on several new pieces which played to great applause from a packed audience. The Concert began with a moments silence and prayers from Rev John Bannister for the tragic shootings in America and this was followed by a tender rendering of ‘Once in Royal David’s City’ begun by the soloist, Karen Wilson and then joined by the Choir and the congregation. This year, by popular request, there was more audience participation and this helped everyone raise their spirits and really feel that the festive season had begun. Karen sang a number of reflective pieces including ‘The Little Road to Bethlehem’ and the ‘Carol of the Field Mice’ by Michael Head, ‘How Soft upon the Evening Air’ by Irene Gaff and Thomas Dunhill and the beautiful ‘O Leave Your Sheep’ by Cecil Hazlehurst to a traditional French tune. Karen finished her various selections with a Christmas medley when, once again, the audience were invited to join in. The Choir gave us several new songs in their repertoire, ‘The Christmas Bells’ and ‘Riding on a Donkey’ as well as some favourites including ‘Joy to the World’ which I doubt has ever been sung better – the balance of voices and crispness of music and words making this one of the highlights of their programme for me. One event at the end, which took us away from the printed sheet, was the appearance of Karen’s boyfriend who, after a short speech promptly got down on one knee and proposed to her! She said “Yes” to thunderous applause and the evening closed with ‘Christ is Surely Coming’ sung to the tune of ‘Land of Hope and Glory’ as a tribute to the Queens Jubilee, everyone feeling plenty of ‘Good Will to all Men’ by this point! The Choir’s accompanist, Joan Johnston and guest organist, Alan Redhead completed the musical team giving a professional polish to what was, I think for everyone, a most marvellous evening of celebration. Meet the man who was born back to front! 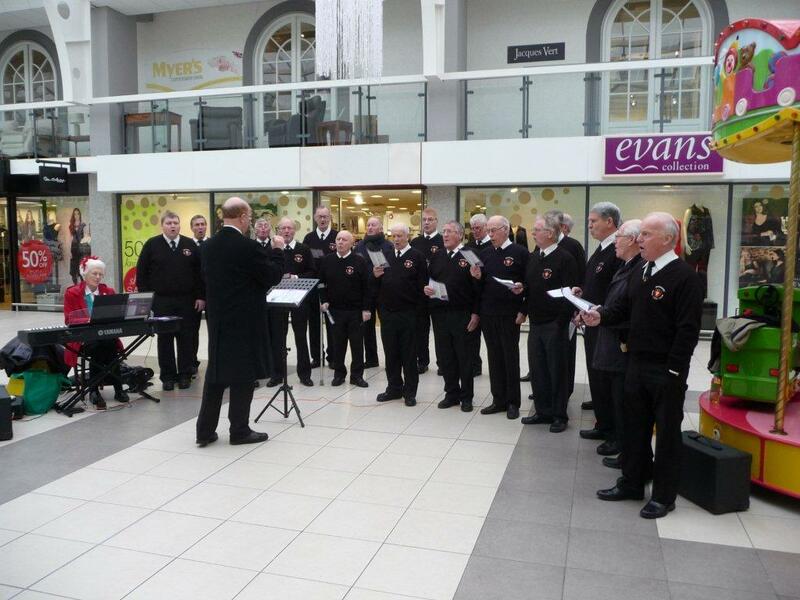 Every year the Choir nominate a local charity or charities to be the beneficiary of the Christmas Celebration Concert and fundraising singing in local shoppping centres. The nominated charities for 2012 are the urology unit at Whitehaven’s West Cumberland hospital and Hospice at Home West Cumbria, who are this year celebrating their 25th Anniversary. 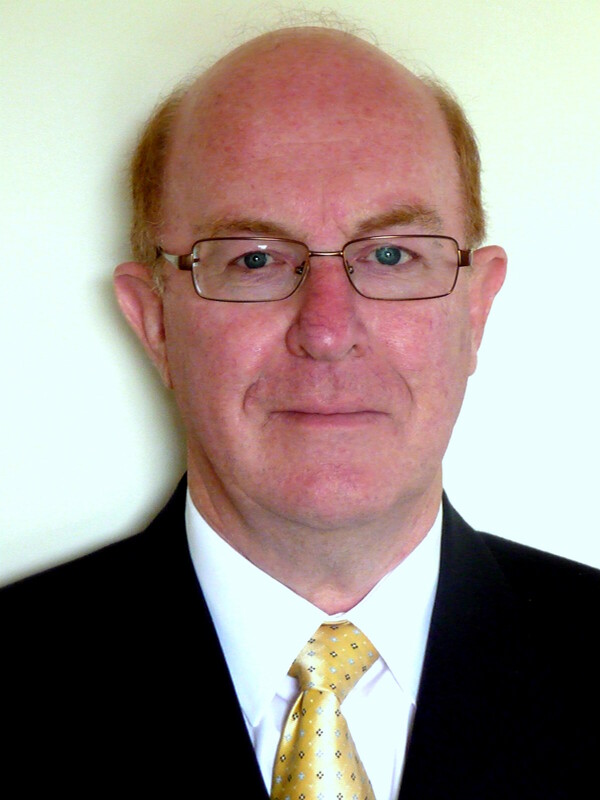 On June 14th 2012 at the Choir’s Annual General Meeting, Peter Argyle formally took over the role of Musical Director from Aileen Rule. Peter, now living in St Bees, grew up near Sheffield, Yorkshire. He qualified as a teacher at St. Luke’s College, Exeter University and holds the Diploma of Licentiate of Trinity College of Music, London, with further qualifications from University College Worcester. After nine years in the Church Choir, he became Organist of Eckington Parish Church in Derbyshire. After a successful career as Head of Music in Grammar, Comprehensive and Middle Schools in Wiltshire, Staffordshire and Worcestershire over a period of thirty five years, he took early retirement and moved with his wife to live in West Cumbria in 2005. Although trained as a pianist, he plays the organ at several local churches when help is required for weddings and funerals and occasional services.His conducting experience has been gained through annual stage productions throughout his career, local and regional Music Festivals and regular choral and orchestral concerts. He has also been a member of several Choral societies, Church Choirs, the Prebendal Singers, the Oakfield Singers and Worcester Cathedral Voluntary Choir. Peter joined Whitehaven Male Voice Choir in 2010 not only as its Deputy Musical Director but as a singing member in the Bass section. Over the past two years he has shared his experience with the Choir. 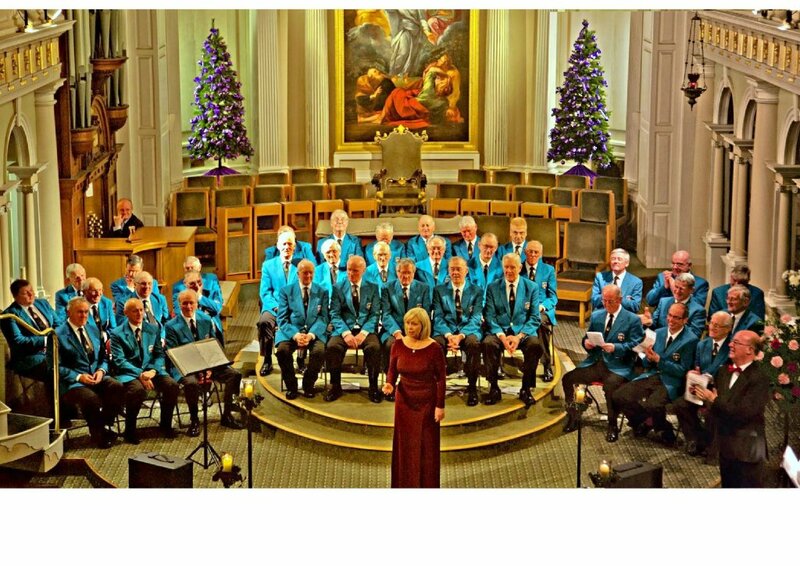 The gentlemen of The Whitehaven Male Voice Choir surpassed themselves on Saturday evening with a spectacular concert featuring the beautiful voice of Gwawr Edwards, the Welsh Opera Star. The Choir sang their hearts out with a mixture of lively spirituals, rousing marches and Musical classics; adding in a Maori Lullaby (sung in Maori! ), ‘Hine E Hine’, as a tender contrast. The Choir were obviously inspired by their lovely soloist as the general feeling was that they have never sounded better.Gwawr Edwards gave us a varied programme which included ‘The Lord’s Prayer’ (as a tribute to all those suffering after the disastrous Welsh floods), ‘On My Lips every Kiss is Like Wine’, ‘Because’ (because she loves it! ), ‘My Little Welsh Home’, ‘Welsh Medley’, ‘O Mio Babbino Caro’, ‘Les Filles de Cadix’ and finishing with ‘Time to Say Goodbye’. Gwawr made every song into a performance and took the audience with her into each piece – she is a consummate professional and finished every one with a storm of applause which nearly brought the house down. She was sensitively accompanied by Marie Byrne. The Choir were conducted by Musical Directors Aileen Rule and Peter Argyle and joined by their regular accompanist Joan Johnston.The Choir rehearse intensively each year for this, their Annual Concert, and the results this year have been very evident in what was an extremely enjoyable and entertaining evening for all their loyal fans. Whitehaven Male Voice Choir’s 2012 Annual Concert will take place on Saturday June 9th in the town’s Civic Hall, commencing at 7:30pm. The Choir’s special guest soloist will be the exciting young Welsh soprano Gwawr Edwards. Gwawr Edwards was born in Aberystwyth, and graduated in 2006 from the Royal Welsh College of Music and Drama in Cardiff where she gained an entrance Scholarship. During the second term of her third year in Cardiff, Gwawr undertook an Erasmus exchange to The Conservatorio Statale di Musica ‘Giuseppe Verdi’ in Turin, Italy. She has recently gained a first class Masters degree at the Guildhall School of Music and Drama in London under the tuition of Yvonne Kenny. Gwawr has had numerous successes over the years in countless competitions including the prestigious W.Towyn Roberts scholarship award, the Lampeter Blue Riband, the Osborne Roberts scholarship and the Violet Mary Davies award for most promising soprano at the National Eisteddfod of Wales. She has also won the solo competition at Llangollen International Eisteddfod. She is a recipient of the Elizabeth Evans Trust and a patron for the Beacon of Hope. She also performed in the Samling Masterclasses in November 2010. From April to August 2010, Gwawr performed with Glyndebourne Festival Opera, where she sang the Third Apparition and chorus in Macbeth, Don Giovanni and The Rake’s Progress. During autumn 2010, Gwawr understudied the role of Virtu in L‘incoronazione di Poppea for Glyndebourne Touring Opera. Engagements for Glyndebourne in 2011 include Euridice in La descente d’Orphée aux enfers, understudy Zerlina in Don Giovanni and understudy Donna in Rinaldo. Roles performed during opera ensemble scenes at the GSMD include Tytania in A Midsummer Night’s Dream, Frasquita in Carmen, Donna Anna in Don Giovanni,Santuzza in Cavalleria Rusticana, Violetta in La Traviata and Titania in The Fairy Queen. Whilst at the RWCMD, she sang the role of Alice in Alice in Wonderland and understudied the role of Dido in Dido and Aeneas. Further afield, Gwawr has performed on numerous occasions at concerts and festivals in America, Hong Kong, Patagonia and on three separate occasions in Beijing to celebrate St David’s Day. Gwawr has already enjoyed the privilege of working and performing with distinguished musicians including Dame Kiri Te Kanawa, Yvonne Kenny, Graham Johnson, Eugene Asti, Rebecca Evans, Gwyn Hughes Jones, Wynne Evans, Michael Pollock, John Fisher and Catrin Finch. Recent engagements include a concert with Bryn Terfel, with whom she recorded a duet for his 2010 Christmas album for Deutsche Grammophon. He also performed another duet with her on her debut album last year. Gwawr has now left the Glyndebourne chorus to embark on a freelance career. The Musical Directors for the concert will be Aileen Rule and Peter Argyle, with piano accompaniment provided by Joan Johnston and Marie Byrne. Tickets priced at (£9 Adult) (£8 Over 65’s & (£5 Under 16’s) are available form Don Messenger (Concert Secretary) on 01946 63452 or from any choir member. 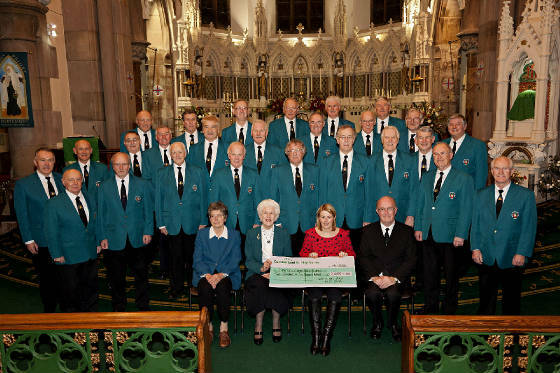 In January 2012 the Choir presented a cheque totaling £2600 to Gillian Johnston of Hospice at Home West Cumbria (the Choir’s 2011 charity of the year.) This money was from the proceeds of the 2011 Christmas Celebration Concert and singing in Morrisons and Tesco. This is only a small part of the money raised every year by the Choir, for charities and worthy causes throughout Cumbria.